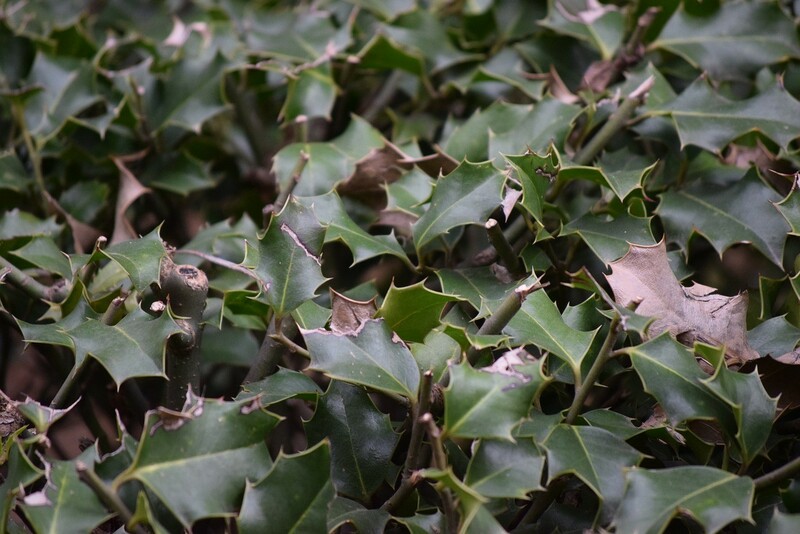 As I was walking I kept seeing wild holly trees along the path. One, in particular, caught my attention as it seemed to be glowing more than the others. 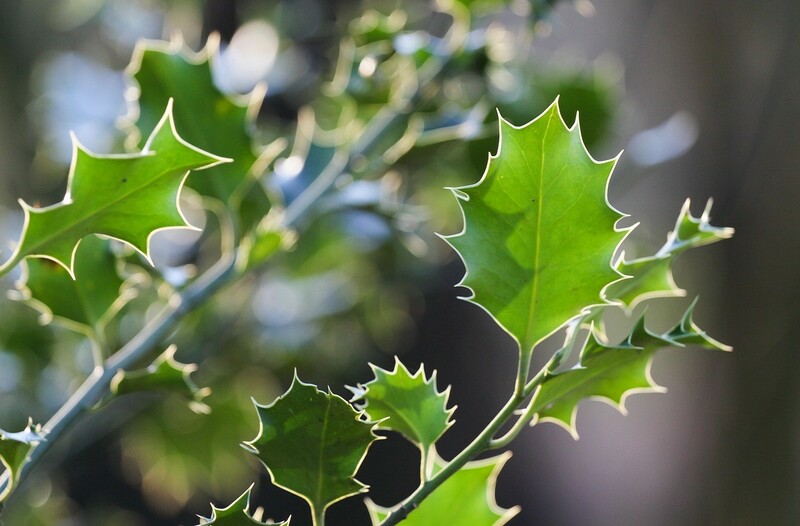 As I reached over to touch it my hand brushed by the old leaves that were hard and spiky and they pricked my hand. I reached through the branches to touch the leaves that seemed to beckon to me. They were a new bright green and soft and pliable. 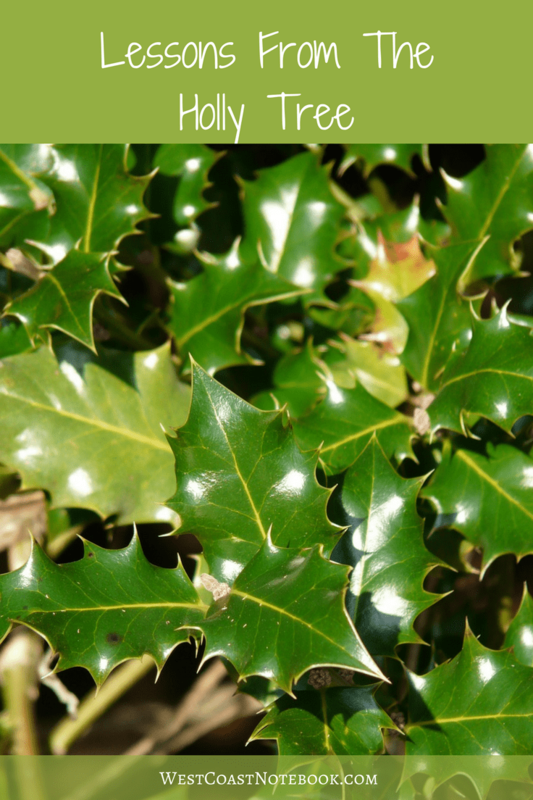 And it occurred to me that we as humans are very similar to the holly leaf. We start out as newborns all bright, shiny new and innocent. Soft and pliable turning our faces to the sun. There is no baggage, no need for defences or armour. We look at the world with wonderment and excitement of all the things that exist right now and react according to what makes us feel good. Dancing in the rain and blowing where the wind takes us. As we mature like the leaf, we start to become a little stiffer, more leathery and develop some outer defences. We learn that the elements can be harsh and so adjust according. There are areas of us that wither and shut down as we grow up and so like the leaf turn brown as we hide those parts away. Thorns and prickles are our defence to the outer world and we learn what hurt feels like and so show that exterior to those around us. Inside is still the soft green leaf that flourished in the light, but over the years we have coated it with layers and layers of protection to guard our hearts and keep us safe. A coating of beliefs that dulls the exterior and keeps all at bay… even ourselves. Like everything when the perfect time arrives we let go of our shields, shed our layers and like the leaf detach from the branch… We relax into the knowing that we can start again… bright, light and pliable, turning our faces to the sun and being at one with the world.